What is Insurance? Simply put, Insurance is spreading of risk – unexpected financial losses for some of the participants from a common fund formed out of contributions of the total participants, and where all participants are equally exposed to the same loss. If we talk about Health Insurance, it is about paying for the unexpected hospitalisation expenses of those few insured (participants) persons who suffer from illness or injury and require medical treatment, and are part of the bigger group and are reimbursed from the contributions (premium) of all insured (participants) persons who are exposed to similar health risks. Long travelling time to offices, increase in stress in day to day life, hectic work schedules, wrong eating habits, quality of food, and rising levels of pollution have increased the risk of developing health problems. The medical costs have constantly seen a rise over the last many years. The health inflation in India is among the highest in the world. And in a country with high inflation, health inflation is even higher. The estimates are that health inflation has been as high as 15 percent. So in the unfortunate incidence of a medical emergency, consumers end up spending their life savings, which takes their financial planning for a toss. Reports highlight that Indians primarily depend on their own savings when it comes to tackling health emergencies. Payments made towards health insurance premiums are also eligible for tax deductions under section 80D of the Income Tax Act. Individuals, up to 60 years of age, can claim a deduction of up to Rs 25,000 for the health insurance premium paid for themselves, or for their spouse or children. One can also claim another Rs 50,000 as a deduction if you buy health insurance for your parents aged 60 years and above. This deduction will be available with respect of payments towards annual premium on health insurance policy including of a senior citizen, or medical expenditure in respect of super senior citizen (age of more than 80 years). So overall, if you are paying the health insurance premiums for your senior citizen parents, you can avail total deduction up to Rs 75,000 (Rs 25,000 + Rs 50,000). There is one myth which we want to correct- if we have been covered by our employer’s medical insurance, we don’t need any further health cover. There are so many reasons why you should be buying medical insurance even if you are covered under your employer’s insurance scheme. What happens post your retirement? And, in case you take a sabbatical from work or if you change your company and the new company does not cover you adequately. The employer may also reduce the sum assured over a period of time and they could just say as cost cutting!! In all of the above, your insurance cover will just not be there or will not be enough. And if you plan to take insurance at a later age the chances of getting insured reduces due to medical issues or any pre-existing ailments or it may be issued with some pre-existing disease which could be a dampener. How much health coverage one should buy? With advancement of medical science, people are more likely to suffer and survive a lifestyle disease that will result in medical treatment. The advances in medical sciences have also increased the life expectancy in the last few decades. Looking at the healthcare inflation coupled with the lifestyle disease epidemic across cities and towns, a future proof health insurance cover for a young family living in an urban area should be a floater cover of Rs 10 lakh, supplemented with the maximum top-up available, so that the cover should be around Rs 20-25 lakh. And for senior citizens, an individual Rs 10 lakh cover with a super top-up cover of Rs 10 lakh should be adequate. However, this is very generic and the actuals may differ on a case to case basis. 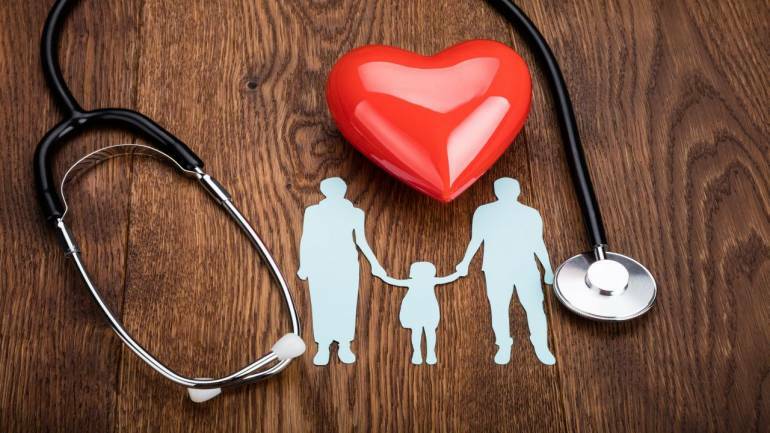 This policy is complementing the medical insurance as it provides the claim on diagnosis of the specified critical illness and not on treatment thereby providing a fill up financially and hence making a case to opt for the same for the breadwinner in the family. There are policies available for covering specified illness like cancer. This has come up as a recent study shows that every 13th cancer patient in the world is from India. While the probability of getting cancer has increased substantially, the treatment costs now have the potential to wipe out a common man’s entire life saving and more so for cancer which has a recurring cost. Payments made towards critical health insurance premiums are also eligible for tax deductions under section 80D.